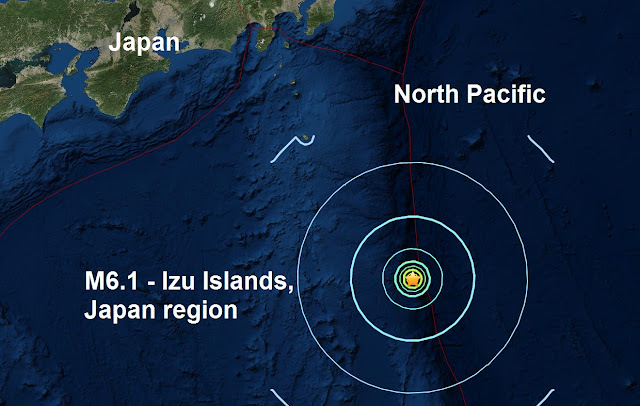 The Big Wobble: A magnitude 6.1 - Izu Islands, Japan region is this years 100th major earthquake! 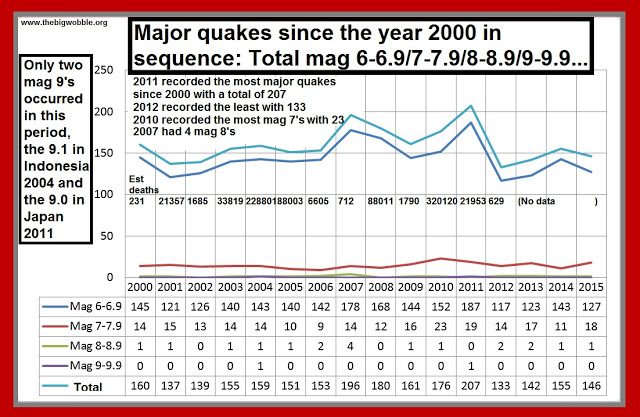 It was also the 8th major quake to be recorded in September. With approximately three and a half months left to the end of this year we could be looking at around 100 to 130 major quakes for the year. That could well be the lowest total in one year since the 133 recorded in 2012. 2007 and 2011 have the highest total ever with 196 and 207 respectively, see below.